What is a CPU and what does it do? Learn the definition of CPU and its functions in a computer with our plain English CPU guide. 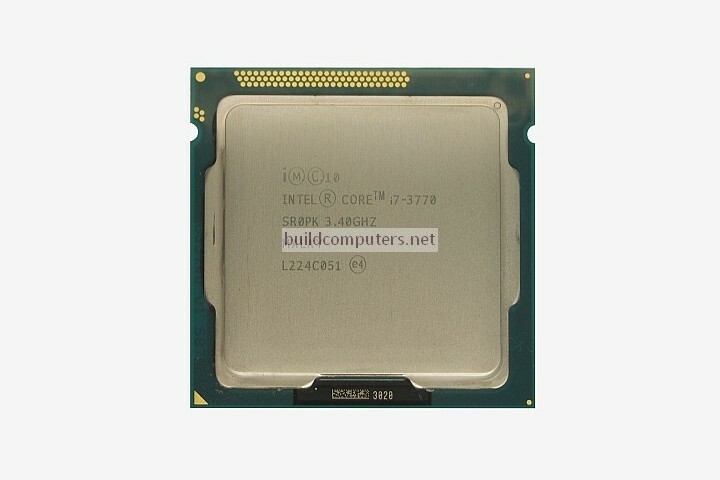 What does CPU stand for: Central Processing Unit. 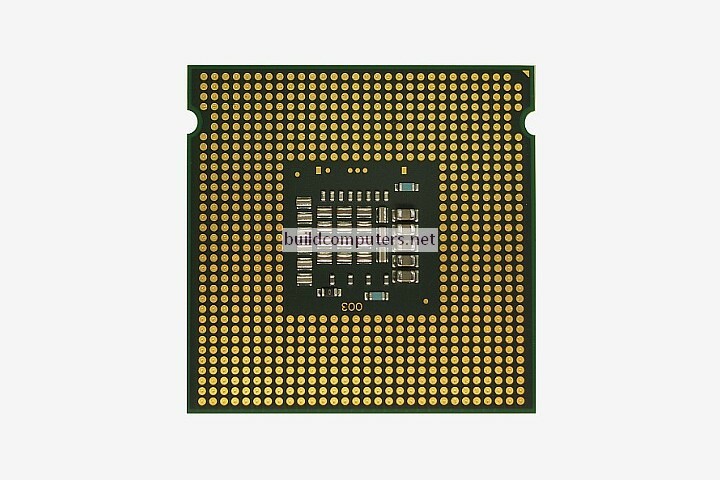 Also known as a microprocessor, a CPU is the brains of a computer. To be more specific, a CPU fetches program instructions from RAM (input), interprets and processes it (execution) and then sends back the computed results so that the relevant components can carry out the instructions. What is a CPU made of? A CPU is a complex integrated circuit made of silicon. A modern CPU can have billions of microscopic transistors mounted on it. The CPU is typically enclosed by a metallic heat spreader which allows for better heat dissipation. As we have just covered on what is a CPU, the main purpose of a CPU is to process program instructions. A (single core) CPU has to process these instructions one by one in sequence. 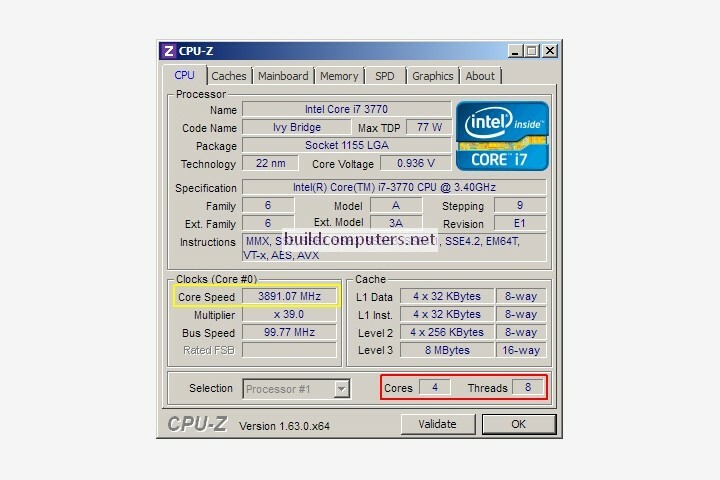 What is CPU clock speed? A CPU that processes one instruction per second will have a clock speed of 1 Hz (Hertz). Based on this calculation, a 3.9 GHz (Gigahertz) CPU is able to process 3.9 billion (3,900,000,000) instructions per second. All things being equal, higher clock speeds = faster CPU. What is a CPU core (outlined in red below)? You can picture a dual core CPU as having two separate processing units squeezed into a single chip. Instead of having to process instructions one at a time, a dual core CPU will be able to handle two instructions simultaneously. This vastly improves its multitasking capabilities and allows it to run multithreaded applications faster. Multithreaded applications are programs written to take advantage of two or more CPU cores at the same time. Many modern software are able to make use of two cores while demanding games can use up to four cores. Certain CPU-intensive processes such as image editing, video editing and virtualization can utilize eight cores or more at the same time. Almost all CPUs found in laptops, desktops and servers (excluding supercomputers) are based on the x86 CPU architecture. Together Intel and AMD (Advanced Micro Devices) account for more than 99% of all x86 CPUs worldwide. Its name is derived from Intel's famous 8086 CPU released in 1978. The elder geeks among us can probably still recall its descendants the Intel 286, 386 and 486 CPUs with fond memories. Bonus points if you can still remember the defunct budget CPU maker Cyrix. My first computer (from the late 1980s) was powered by a 386 CPU that blazed along at 33 MHz. Most processors for smart phones and tablets are based on the ARM CPU architecture (instead of the x86 architecture). Qualcomm, Nvidia, Apple and Samsung are among the biggest CPU manufacturers of ARM processors. To better understand what is a CPU, we will need to know the differences between a x86 vs ARM architecture: x86 CPUs are more powerful, 64 bit (meaning they support more than 4 GB of RAM), run on more operating systems (including Windows XP and 7). ARM's biggest advantage is its low power consumption, making it ideal for mobile devices that operate on batteries. Update: The launch of iPhone 5S has propelled 64 bit ARM CPUs to the mass market, with ARM manufacturers scrambling to produce their own 64 bit processors for mobile devices and servers. 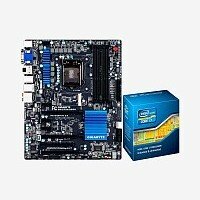 Click here for our buyer's guide to the best motherboard CPU combos.